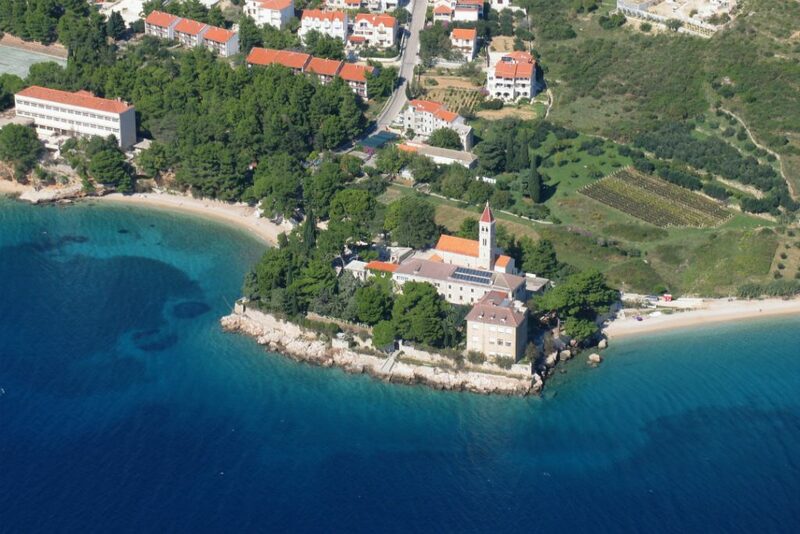 Bol is a place located on the south coast of the island of Brač. 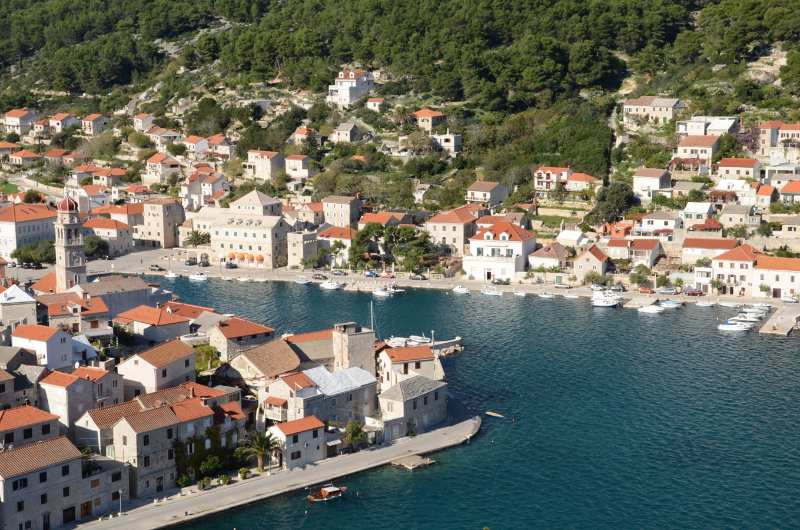 It’s the oldest coastal village of Brač. Lies in secluded southern landscapes, at the foot of the Bol Hill and Vidova gora – the highest island elevation and at the same time the highest peak of all Adriatic islands (778m). It is famous for its long tourist tradition and one of the most beautiful natural beaches on the Adriatic – Zlatni rat. Brač Airport is only 10 kilometers from Bol. With numerous service activities, Bol offers several clubs, windsurfing schools, sailing and diving schools, a large tennis center, various sports grounds, a fitness center and many other facilities. Bol is a favorite destination for excursion boats and yachtsmen, and the harbor has a special berth for yachts. Bol as an attractive tourist destination which fosters recognizable cultural identity and specialties that delightes visitors. 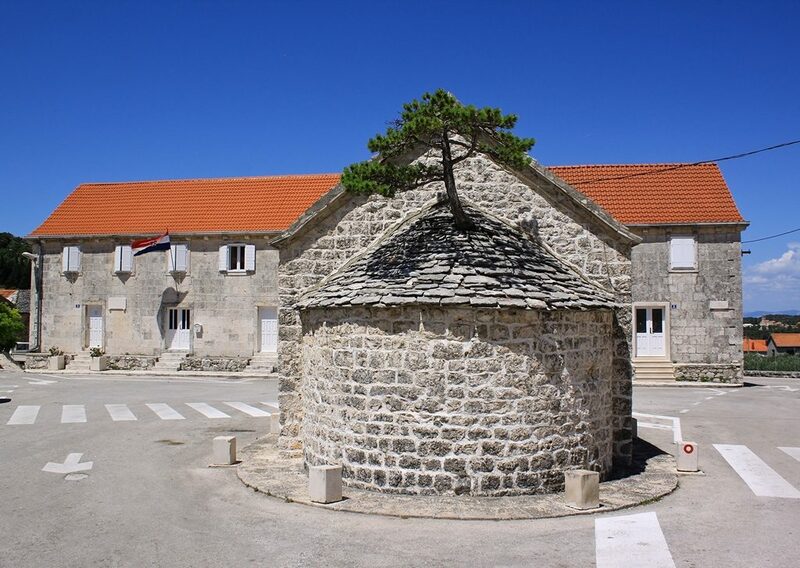 Milna is located in the western part of the island of Brac, 18 kilometers away from Supetar. Milna is a well-known tourist center and a favorite nautical port for all sailors navigating the Central Dalmatian aquatorium. Today, Milna is still considered the most beautiful and protected harbor. With three well-equipped marinas, Milna will satisfy even the most demanding boaters. Apart from its historical sights and natural beauty, Milna wins its guests with the healthy food of Mediterranean cuisine. Those who desire explorations will be enchanted by nearby coves, especially the Lučica bays, the port of Bobovisca, and the nearby village of Ložišće, and the specialty of Milna is certainly the small island of Mrduja located at the entrance to the harbor. Nerežišća are a Village located in the interior of the island of Brac at the intersection of the main island roads, with the largest Brač field. They are 10 kilometers south of the town of Supetar. This picturesque little place for a long time represented the administrative and economic center of the island, and only the nobles of this country lived there. The Church of Carmel dominates this small place. The charm and ambience of this Dalmatian place are set up by the heavy stone houses, the narrow streets and all of the other characteristics of typical Dalmatian construction. Postira is a fishing and tourist resort situated on the north side of the island of Brač, between Splitska and Pucisca. Once a fishing and mountainous place, today it is an idyllic place to rest many tourists from all over the world. The place is rich and famous for its attractive sandy and pebble beaches and bays. The most famous and most beautiful are Lovrečina cove (sandy beach), Mala Lozna (pebble beach), Prvlja (sandy beach), Zastivanje (gravel beach) and Rat (pebble beach). Pučišća are situated between Postira and Povlja at the bottom of the deep bay. They are the ideal place for a holiday away from the city crowds and enjoying the beautiful nature. 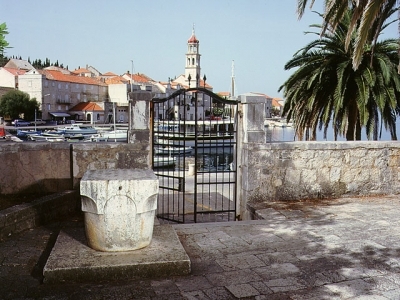 Archaeological finds such as Jupiter’s altar and Roman tombstone testify Pučišći as a place with eventful past. Pucisca is famous for the stonemasonory tradition, and the stone from nearby quarries has been used for the construction of many famous buildings such as Diocletian’s palace in Split, the lobby of the United Nations building in New York and many churches and palaces throughout Dalmatia. There is a story that White House in Washington was also built from Brac stone, but there is no credible evidence for this, so we will take that story as an urban legend. Selca is located on the eastern part of the island of Brac, in the interior of the island. This Dalmatian place delights its visitors with the beauty of stone processing. The stone processing culture is visible in Selca on every step, especially in numerous stone monuments erected in the place. In the immediate vicinity of Selca there are tourist areas Punitnak and Ružmarin located around the beautiful beaches of Radonja, Spilice and Žirje, where many tourists find an ideal place for your vacation. 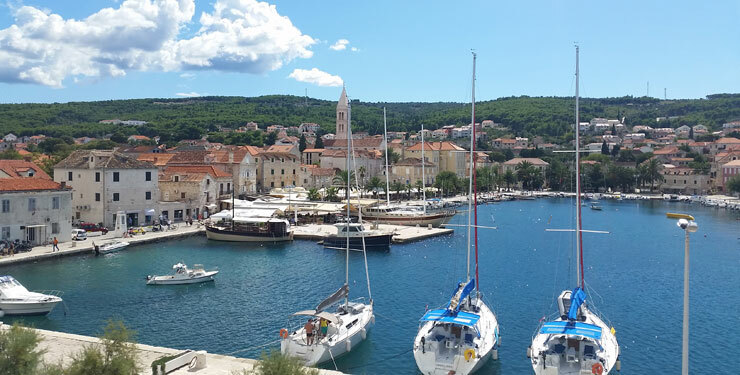 Supetar is the largest settlement on the island of Brac, also the only town on the island, and as such it is the administrative, cultural and certainly a tourist center of Brač. 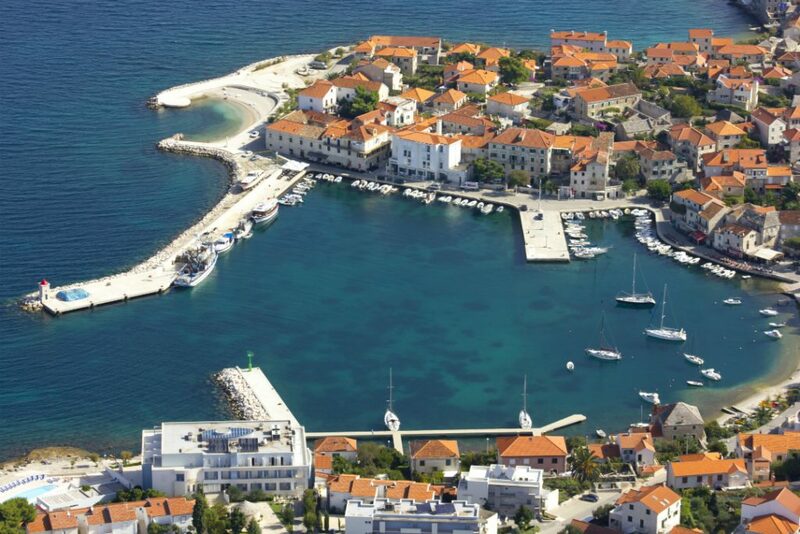 The town of Supetar is located on the north side of the island of Brač, in the bay of Sv. Peter by which he got the name. The ferry line is connected to Split. 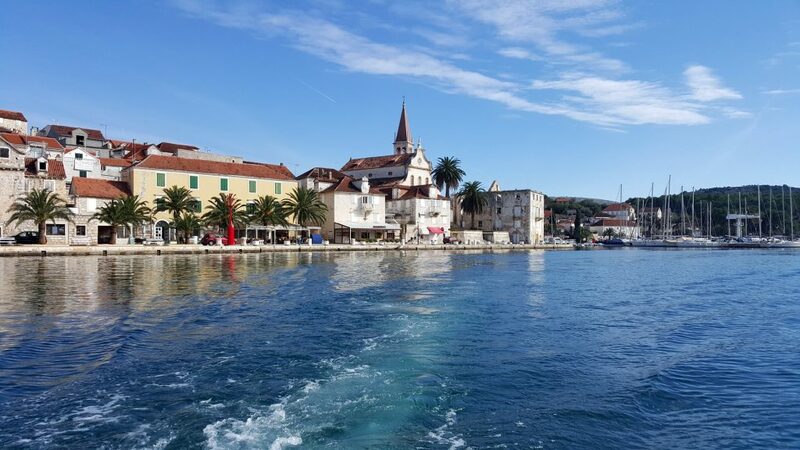 Surrounded by beautiful natural surroundings, countless beaches and coves in the surrounding area, quality accommodation, rich and varied catering offerings, entertainment programs and opportunities for sports and recreation, Supetar is one of the most visited centers on the island of Brač. Supetar is the ideal starting point for numerous organized excursions. Sutivan is a seaside resort on the northwestern coastal bay. It is a small place of Mediterranean ambience with beautiful wooded beaches and a promenade stretching from Lučica to the Likve, Prbuje, Stinive, Stipanske, Male Tihe and Vičje harbors. In the bays mentioned here there are beautiful beaches where every visitor can find peace and a beautiful natural environment of true Mediterranean atmosphere. Sutivan is surrounded by ancient olive groves and beautiful vineyards, which come along well-tended paths, which are both pedestrian and cycling paths, also very suitable for sports and recreation. An attractive excursion point in the unpaved neighborhood of Sutiv is the Sutivan Nature Park.